A look at Edna Purviance, silent movie star and leading lady for 34 Charlie Chaplin films from 1915-1923. Biography, filmography, and notes of interest. 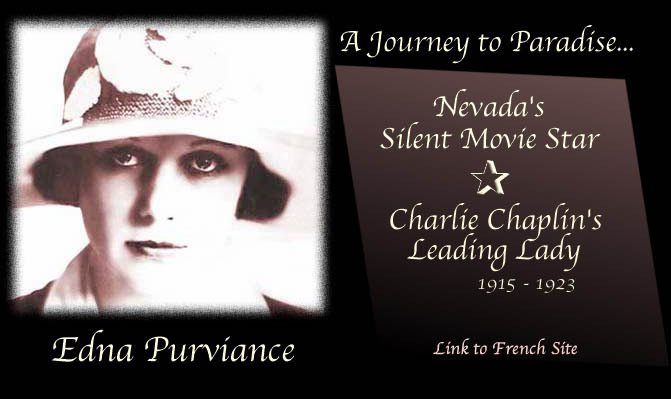 Edna Purviance's official site explores the birthhome and life of Edna Purviance, Charles Chaplin's most enduring and endearing leading lady. Born October 21st, 1895, Edna Purviance lived a few years in ParadiseValley before moving to Lovelock, Nevada. 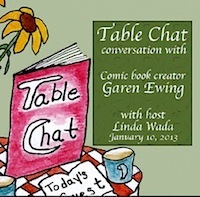 You will learn more about Edna and her family life in Nevada and beyond. Edna's site led to Edna's grand nieces, the last family members who actually knew Edna personally. In September 2006, our company Leading Ladies (Hill Family and Linda Wada) presented in Hollywood the first documentary on Edna Purviance, with Lita as special guest. In October 2011, the documentary showed at the Charlie Chaplin International Conference in Zaneville, Ohio. And in November and December 2013, spend sometime in the UK doing some research for the project. Same old, same old, since March 2016, as we are involved with a very ill relative. We have no idea what is ahead. Edna's family home and business was torn down in 1946, by a family who never knew Edna lived there. An expansion project for the former Up to Date Laundry building, took over the space in 1947. Leaving an once garden in half ot the former hotel's 25 foot wide lot. Today, some people believe the former Up To Date Laundry was connected to Edna. The connection was never a home, but a building that had several different businesses, that Edna grew up next to. In that it does make that building special. But it is NOT Edna's home. More on Edna's Nevada homes below. 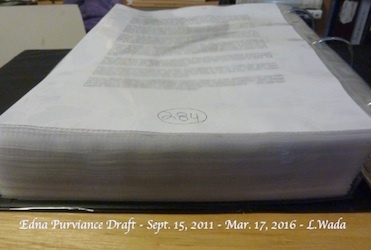 First Complete Draft is finished! Working on the draft, so no release date at this time. to being a silent star with Charlie Chaplin. Seen The Kid? Comparing different versions! Latest Mutual Films from Flicker Alley! with videos on RAF Museum, Chaplin's statue, Cinema Museum & Tour and more! Chance to see The Salvation Hunters! Enjoyed Fatty Arbuckle films on TCM? Get the full DVD collection! 90th Anniversary of 'A Woman of Paris' contest! And the winner IS!!!! Identifying Edna Purviance! Take the test, see the results! Know every scene in Charlie Chaplin's films? Take the quiz! 1952 London Audio Interview with Charlie Chaplin! 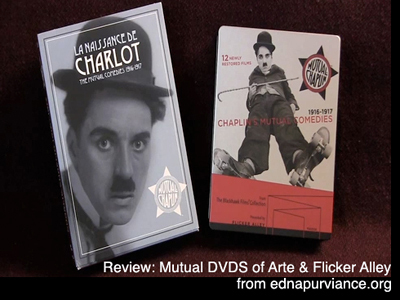 UK Amazon link for Chaplin DVDs! Chaplin Library - OVER 800 BOOKS! Collection de DOMINIQUE DUGROS. MAIN LIBRARY! Database Updated April 2019 - Chaplin Library Database! in association with Lita & Ellie of former Leading Ladies. "the love and dedication that went into this project is evident on every page..."
Discovered Personal Films of Edna Purviance! 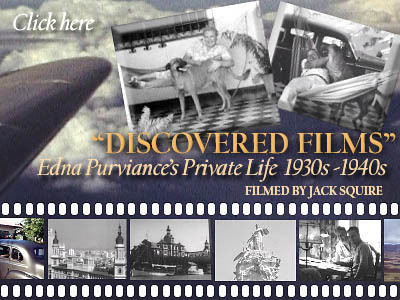 The first films ever found from Edna Purviance's private life! & 'A Woman of Paris' & Il Cinema Ritrovato Festival! Mildred Harris, Lita Grey, Paulette Goddard and Oona O'Neil. The most asked question on Edna's site! Plus Lyrics from The Circus, Pilgrim, more! Over 32,000 listeners for Part 1! 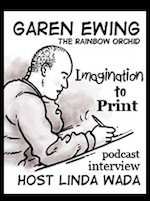 his published graphic novel, The Rainbow Orchid, the Adventures of Julius Chancer. Special thanks goes to Garen, for inspiring Edna Purviance's website in the fall of 2001. Also visit Garen's Charlie Chaplin Leading Ladies postcard collection! collection and list of over 200! Books and Magazine Collection Videos! Sept. 2014: Grand View Sold! Charlie Chaplin is a trademark of Bubbles Inc. SA used with permission. Charlie Chaplin, Chaplin and the Little Tramp, the images of Chaplin on this website and the names of Mr. Chaplin's films are all trademarks and/or service marks of Bubbles Inc. SA and/or Roy Export Company Establishment used with permission. All Charlie Chaplin images Copyright 2001-2019 Roy Export Establishment. All rights reserved. Websites that link to this site are tracked.